As the UCaaS market matures, service providers are seeking out ways to differentiate their offerings, essentially creating the next generation of UCaaS platforms. Although these technologies can significantly improve workflows and contextual communications, the lack of security and privacy controls pose a big risk to organizations. 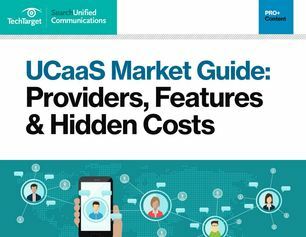 Participate in our market research program and receive this complimentary guide to learn about common features of UCaaS platforms, as well as risk and benefits associated with using one.